A Sydney law firm has launched a class action on behalf of people who as children and adolescents were prescribed the anti-depressant drug Paroxetine. Drayton Sher Lawyers has called for expressions of interest from people who were prescribed the drug, commonly known as Aropax in Australia, when they were 18 or younger. Solicitor Tony Nikolic said hundreds of people had indicated they would join the class action, which he expects to file in the Federal Court at the end of May. Paroxetine was a commonly-prescribed anti-depressant more than a decade ago and for a time was the most commonly used anti-depressant in Australia. In 2001, GlaxoSmithKline (then SmithKline Beecham) funded a randomised trial of the drug that showed Paroxetine was safe for use in adolescents. But concerns about its use persisted. 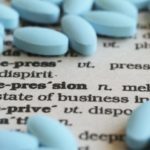 In 2004 the Therapeutic Goods Administration’s Adverse Drug Reactions Advisory Committee said there was international concern about the risk of increased suicidal ideation and self-harm among children and adolescents using Selective Serotonin Reuptake Inhibitor (SSRI) antidepressants. A team led by the University of Adelaide’s Professor Jon Jureidini re-examined the GlaxoSmithKline research last year and found there were “quite striking” rises in the suicidal thoughts experienced by those taking the drug compared with those taking a placebo. The review team found that 11 people who took the drug in 2001 experienced experienced suicidal thoughts or behaviours, compared with one person who took the placebo. Mr Nikolic said one person joining the class action had been prescribed Paroxetine as a six-year-old, and soon began having suicidal thoughts. Mr Nikolic is calling for anyone who was, as a minor, prescribed Paroxetine – which also traded under a number of generic names including Chemmart Paroxetine, Extine, GenRx Paroxetine, Paroxetine Actavis and Terry White Chemists Paroxetine – to come forward if they experienced side effects. These side effects could include suicidal feelings, attempted suicide, and causing others an injury. Fairfax contacted GlaxoSmithKline for comment.